As it turns out paint sheen is a topic we get a lot of questions about. Now for starters let me start off by stating that every paint manufacture will have their own name for different sheens they offer. Usually the higher the sheen the more obvious any imperfection will appear. So generally one should use the higher sheens on new or like new surfaces. 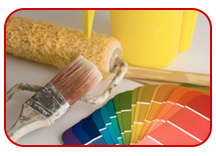 So if you are painting cabinets, moldings, doors or other decorative surfaces, a high gloss sheen is ideal. Keep in mind that brush stroke will also show, so plan on having these surfaces sprayed. 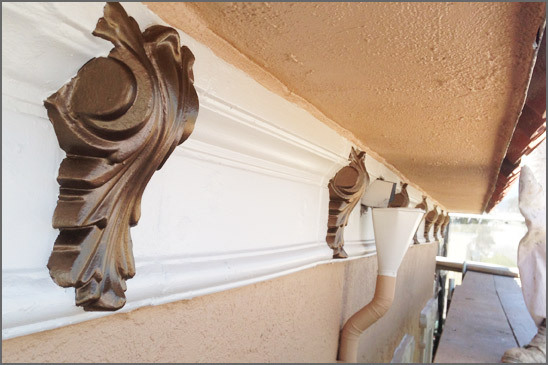 On the other hand flat paint has the tendency to deaden any imperfection. So if you are painting beaten bedroom ceiling with a lot of uglies in the texture a flat paint would be recommended. Sheen gives the added protection against moisture intrusion which is why you want to paint bathrooms, laundry rooms and kitchens with something other than flat paint. We suggest something between Low Sheen and Velvet for these areas. Typically surfaces that get the most traffic or are decorative in nature are better suited for a higher sheen, something between High Gloss and Semi Gloss should work nicely. I would recommend a higher Sheen for surfaces like doors, windows, trim, crown molding, cabinetry, and shelving. Flat paint looks best when used on ceilings and walls which have the least amount of traffic or are repainted regularly. Other moderate traffic areas such as hallways, stairway walls or even bedroom walls would serve you better if painted in Eggshell or Velvet, simply because they are more washable than flat paint.